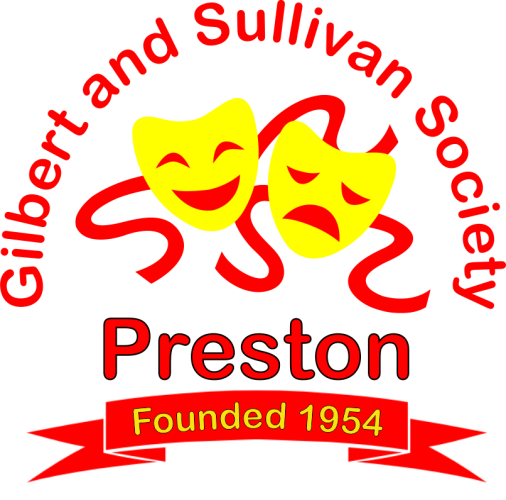 As a member of Preston Gilbert & Sullivan Society you have unrestricted access to requesting tickets. 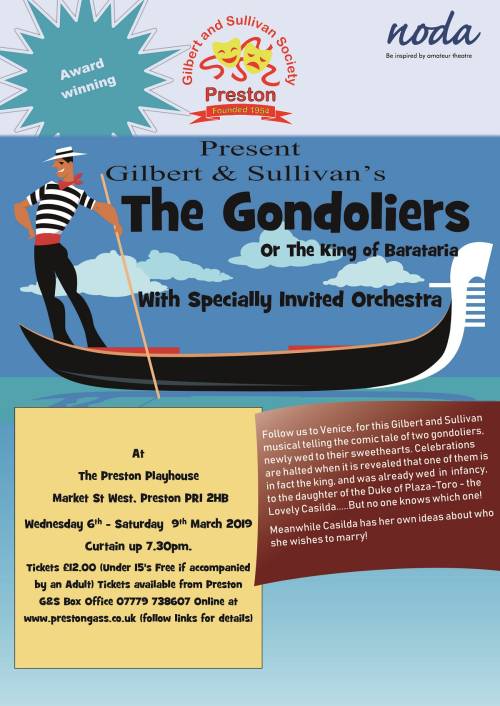 Follow us to Venice, for this Gilbert and Sullivan musical telling the comic tale of two gondoliers, newly wed to their sweethearts. Celebrations are halted when it is revealed that one of them is in fact the king, and was already wed in infancy, to the daughter of the Duke of Plaza-Toro - the Lovely Casilda.....But no one knows which one! Meanwhile Casilda has her own ideas about who she wishes to marry! Formed in 1954 by Eric Hindle, a teacher at a local school. We perform a G&S Opera every year at The Preston Playhouse. New members are always welcome, wether it be to perform on stage or to help with Front of House duties or Backstage. The theatre seats 210 people, with capacity for two wheel chairs during any one performance. If you have special seating requirements please let us know when you book your tickets. There is a small charge for booking online. It is for the whole booking not per ticket. Children under 15 are free as long as they are accompanied by a paying adult. The theatre seats 210 people, with capacity for two wheel chairs during any one performance. If you have special seating requirements please let us know when you book your tickets.